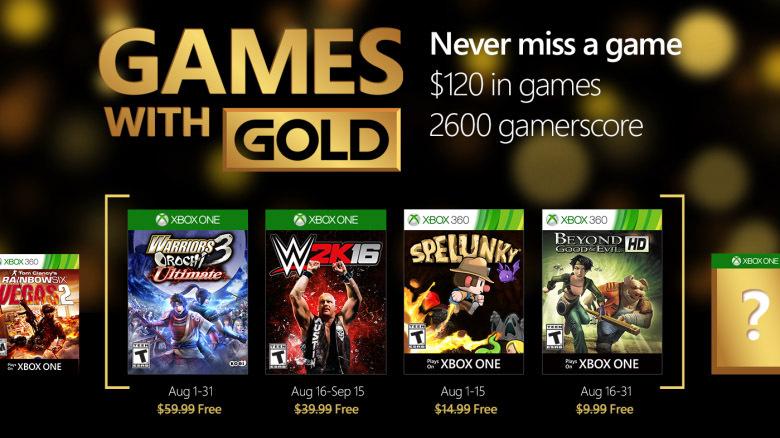 Microsoft recently announced their August line-up for their Xbox Live Games with Gold program. Out of the four games (two for 360, two for One), two of them have co-op: Warriors Orochi 3 Ultimate and Spelunky. Warriors Orochi 3 Ultimate (henceforth W03U) will be available for free on Xbox One for Xbox Live Gold members from August 1st through August 31st. It supports 2-player online co-op. If you've ever played a Dynasty Warriors title, you know what to expect here. 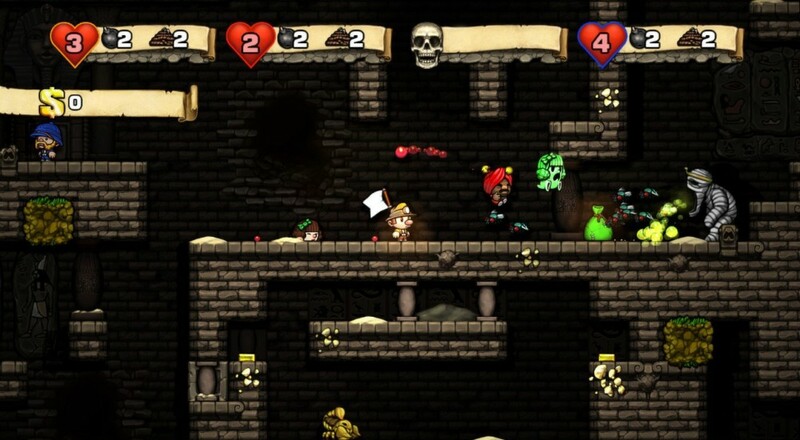 Spelunky will be available for free on Xbox 360 for Xbox Live Gold members from August 1st through August 15th. It can be played on Xbox One Backward Compatibility. It supports 4-player local co-op. If you missed it, be sure to check out our co-op review of the game. The other two titles for August are W2K16 for One and Beyond Good and Evil HD for 360.